..how KOOI-REACHFORKS® transformed a Swedish warehousing operation. When the ASG company was reorganising its 22,000 square metre warehouse in Arendal near Gothenburg in 1998, factors such as improved space utilisation and greater operational efficiency were high on the agenda. Nowadays, the warehouse is run by DHL, the worldwide logistical group, who handle up to 1,500 pallets each day at the revamped premises. At the planning stage, and following consultation with lift truck suppliers Jungheinrich, one item of equipment was included which proved particularly invaluable when the warehouse went operational: this was the hydraulically-operated attachment manufactured by Meijer Handling Solutions in the Netherlands: the KOOI-REACHFORKS®. Long, fixed forks were, in fact, considered as an alternative, at least on paper, but they were not considered to be suitable because of the risk of damaging goods. “With telescopic forks, we could construct a much more efficient pallet system,” warehouse manager Lars Jarlros told Handling Network magazine. A large proportion of the imported goods of the convenience goods group ICA arrives at DHL’s warehouse in Arendal. ICA Sverige AB is Sweden’s largest grocery chain, with seven warehouses throughout the country. Every day, some 20 containers are unloaded at Arendal, involving between 1,000 and 1,500 pallets. The warehouse also functions as a groupage terminal for onward transport out to ICA’s various regional warehouses. DHL Arendal has been a customer of Jungheinrich for a long time. In the Arendal warehouse, there is a total of eight trucks, of which one is a counterbalance truck, and the remainder are reach trucks. It was Jungheinrich who suggested to DHL that they should look at the KOOI-REACHFORKS system when the time came to reconstruct the warehouse. Now, all the lift trucks in the warehouse are fitted with KOOI-REACHFORKS. Turkish Dealer, Erel Makine visits Meijer Handling Solutions for continuing education on KOOI-REACHFORKS® and Pallet-less transport. 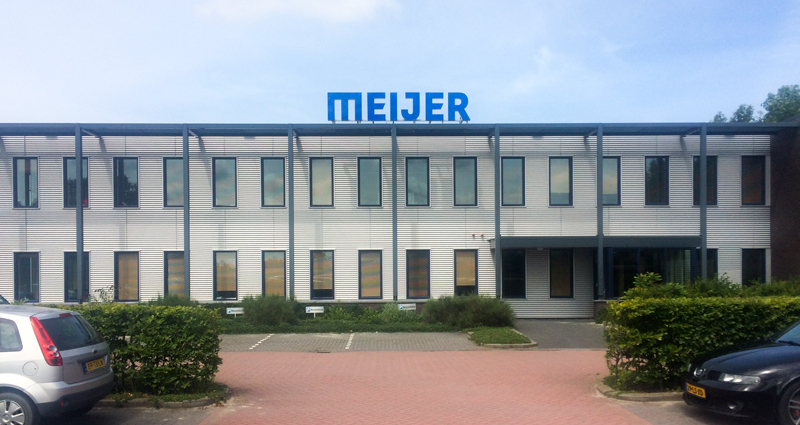 Meijer Handling Solutions aims to add value to our customers’ and end-users’ logistical supply chains. We are the world’s market leader in hydraulic lift truck forks, known as KOOI-REACHFORKS®. 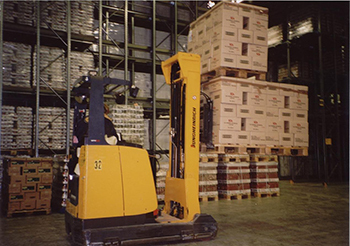 Also, we are known for our palletless handling attachments such as the patented ROLLERFORKS® and our unique PushPull systems. The latest Meijer Handling Solutions product to be introduced to the market is the patented FLEX-OPS®, a safety enhancement for forklift trucks. You can follow us on our social media networks, or view our YouTube channel. Please fill in your question and we'll get back to you, asap.